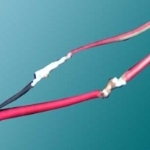 We can do the soldering work for you and our work is guaranteed. We can do the soldering work for you and our work is guaranteed. This is for soldering your already purchased 12V AA battery holder (Item 4206) to your already purchased 12V Constant & flash inverter.